But, I have the sneaking suspicion Laura and the Planet Green cable channel is up to more than just entertainment. Then again, maybe it is JUST entertainment i.e. entertainment about doing justice to the earth--an earth which has taken somewhat of a beating in the past few centuries and is now going through a world-wide environmental awakening the likes of which have never been seen before. Picture from the Planet Green Show “Blood, Sweat and Takeaways.” In the show, “six young, fast-food junkies embark on a grueling month-long journey into a world they know nothing about to discover the tough truth behind their fast food fixes.” The show states: "If you spent a month finding out the truth about your fast food habits, would you be so quick to guzzle them?" 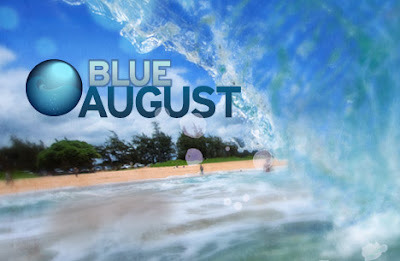 Blue August was a whole month of programming on Planet Green this past summer that focused on the health of our planet's water. It’s refreshing to think that the goals of corporate television programming can be combined with the goals of societal and environmental benefit. Knowing that Planet Green is also a sister company to the blog/web site, TreeHugger.com, I guess we can safely say this green TV - web site hybrid isn’t simply Corporate Social Responsibility. Rather, it’s Corporate Social Media Responsibility at its best. 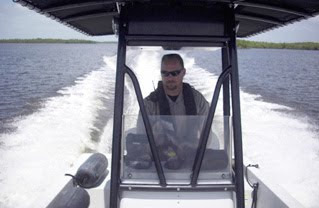 Still from the show "Operation Wild" which follows colorful members of the Florida Fish and Wildlife Commission as they encounter all sorts of crazy people, places and things in their efforts to keep Florida’s environment in order. Anyone with any sense knows, if you want to make people change, you can’t hit them over their heads. You have to get inside their heads. You can’t make them feel bad or guilty. You can’t lecture them and act smarter than them. 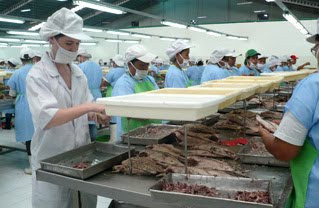 With a clever mix of programming and consistent messaging and with some of the content done in collaboration with the prestigious non profit groups mentioned above, Planet Green’s proactive environmental messaging might just seep into viewers heads and make some real change. 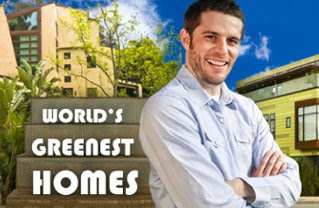 The show "World's Greenest Homes" follows host John Bell as he gives us tours of the most sustainable, yet luxurious, homes around the globe. Despite mixing the message into the medium, it was clear from having so much fun speaking with Laura that one can be effective without any heavy handed proselytizing. There’s nothing more tiring than an advocate of any sort who can’t mix some charisma and good chemistry into their cause. I gleaned a sense of mischievous fun from Laura when I last met her during a recent party for the launch of the web site, shft.com. (The latter, too, has an eco consciousness.) Whether in person or on the phone during this latest interview, Laura effuses the energy of someone who loves her work and mission. She makes you feel how privileged and lucky she feels to be in the wonderful position she is in. Clearly, if you go along for a ride on her journey, it is going to be filled with inspiration and good times. Satisfying curiosity. I like that. Well, maybe Planet Green hasn’t completely satisfied my curiosity. I doubt anything ever really will. At the same time, not being satisfied is perhaps just my impetus to keep on living, learning and exploring. Planet Green surely has at least peaked my curiosity so much so that I want to keep on listening and tuning in for more. In Summer, 2009 Planet Green broadcast the World premiere of the documentary produced by the NRDC called “Acid Test: The Challenge of Ocean Acidification” which was narrated by Sigourney Weaver. Watch this stunning and powerful film below.